Click the button below to add the Body Nutritive Serum #Men's Skin# to your wish list. 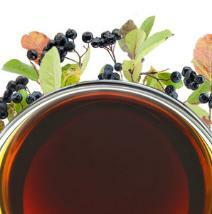 Ingredients for the Body Nutritive Serum are made by nature. Gentle, non-irritating and soothing formula made fresh in the USA. 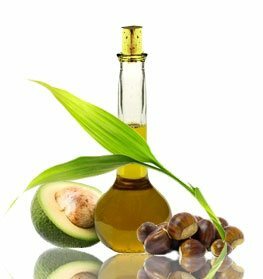 Avocado Fruit Oil is enriched with Vitamin E and boosts the skin in order to generate stronger cells. Hazelnut Oil nutritively hydrates and unclogs pores to keep skin clear and smooth. Kukui Nut Oil is a moisturizer that soothes and heals dry, damaged skin. Walnut Oil prevents wrinkles, treats dry, flaky skin and is an exceptional antioxidant. Beard and Body Wow -ALL IN ONE is an under statement of how great this product is. I use it every day as a daily body moisturizer and once a week to keep my beard soft and hydrated. The compliments I receive on my beard is remarkable. Just Nutritive you did it again! Best BF gift - Purchased this as a gift for my boyfriend. After a week of using it he let me know how much he loved it. He said he uses it after the shower and after he shaves. I think I will be buying it again for him. Great Moisturizer - My wife got this for me so I guess my skin for he was becoming an issue. In all seriousness she had be advocating to me I needed to start taking care of my skin. Other skin products I have used leave my skin feeling greasy. This one absorbs into my skin rapidly and last all day long. I would give this a 4 but I wasn’t to satisfied with the smell. Great all purpose product - Two months in and I could not be happier with this product. My complexion looks and feels better and my family has even noticed. No problem with it being to greasy and once I apply it I forget its on. Fast Results - I use this more for my face and beard then I do for my body. For some reason my face is always dry when I wake up. After I hop out the shower I now apply this moisturizer. Honestly this product has worked after only using it for a few days. Incredible product hands down! I was recommended to try the serum by my brother (it says for men but I tried it anyway) to lighten dark spots on my back. He purchased my first bottle and due to seeing the spots gradually get lighter I purchased a 2nd bottle. This all natural serum is the business and I am now going to try all the other products from this line. Ladies I definitely recommend it for us as well. Once you put it on, it'll give you this glow and your skin will feel supple and moisturized. I've started using it when I went on vacation and haven't stopped. It's going to be a month since I started using the product and I still have my tan! I also use the natural tan lotion once a week to maintain a natural tan. I'm onto my second bottle and will definitely buy more! I bought this moisturizer for my boyfriend to smooth his dry skin. He uses it every day now. He says that he uses it on his face and body and sees that his stress lines are diminishing. I steal some of this serum for myself and I'm impressed as well. When he runs low, I will urge him buy two! This review is on behalf of my husband. He loves this product and uses it daily for about a year. His skin has improved greatly with this serum. He has less fine lines and wrinkles and his skin is so supple. I'm going to try this for myself! This serum does amazing things to the skin. Keep my skin soft and moisturized. It also makes shaving a lot easier. I was searching for the perfect summer serum for my dad. I received a sample of this product from a previous purchase and tried it. It is so hydrating, smell great and is not greasy. My skin was so soft. I immediately purchased. I have been using this product for 3 months and I'm very pleased with the results. I was looking for something that would nourish my dry sensitive skin without aggravating it or causing acne. This serum doesn't cause any redness or itching which I get from other products. I found that this product reduces discoloration on previous acne marks. It moisturizes my skin, leaves a very fresh light scent to my skin and is very lightweight.